"Marijuana remains illegal at the national level, with no medical exception," Michael Kinsley notes in the latest issue of The New Republic. And yet, in Washington state—which, along with Colorado, legalized pot for all uses last year—the cultivation and sale of the drug is a booming business. A complicated one, too: In the nearly 20 states, plus D.C., that have legalized the drug in some form, the resulting regulations—on everything from prices to portions to pot shop locations—are as varied as the countless strains of cannabis. Here's what a few of those legal pot businesses look like. 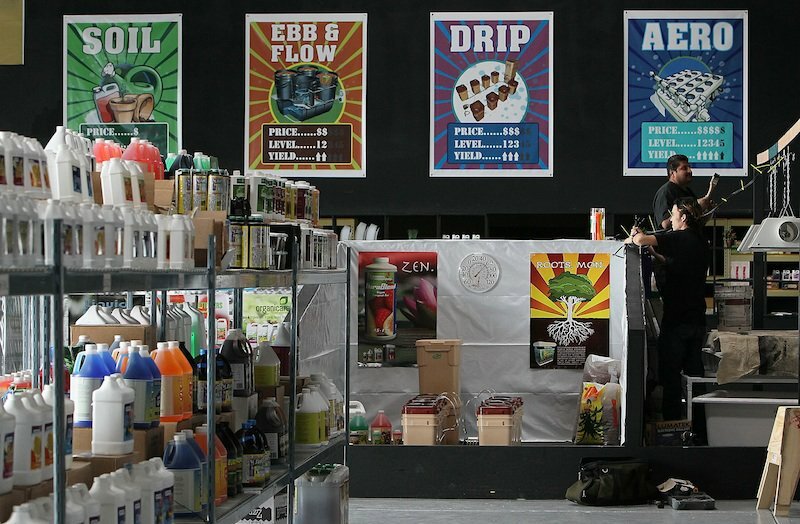 The weGrow marijuana cultivation store in Washington, D.C. provides one-stop-shopping for supplies and training to grow plants indoors, from tomatoes to medical marijuana, though not the actual marijuana plants or seeds. 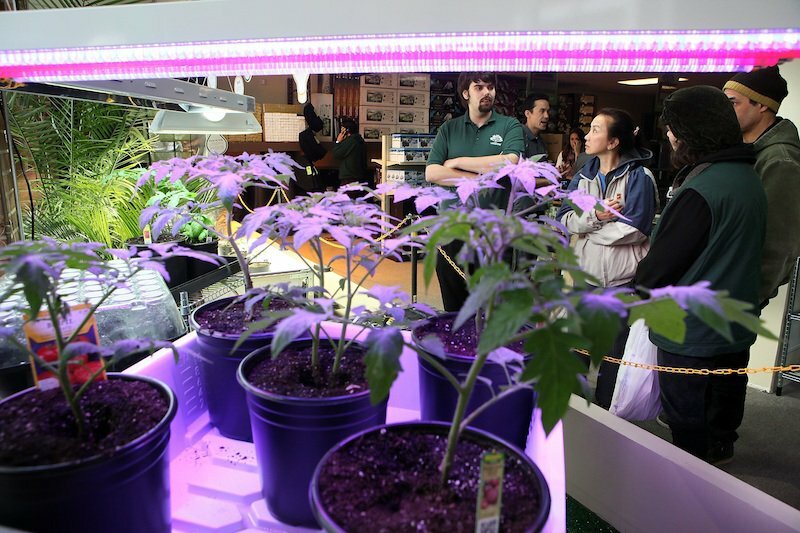 Hydroponic expert Adam Rich (L) talks with visitors during the store's grand opening on March 30, 2012. 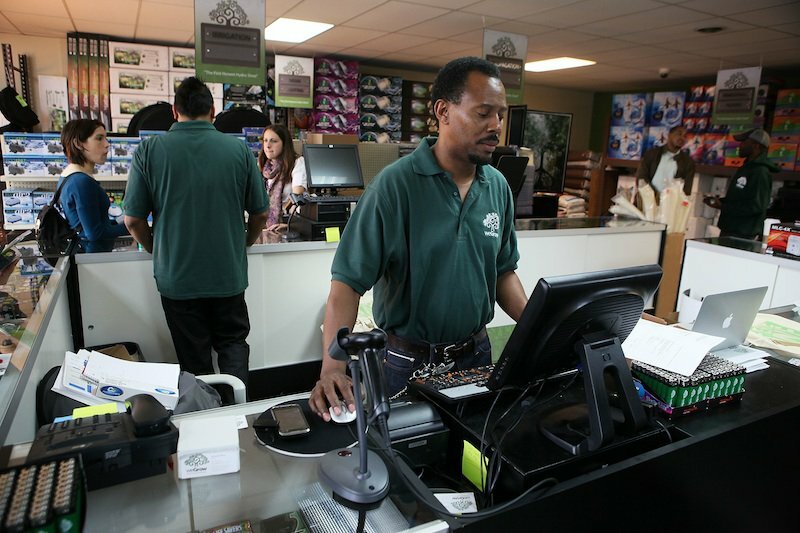 Partner Johnny Shinns mans the counter in the weGrow supply store during its grand opening. 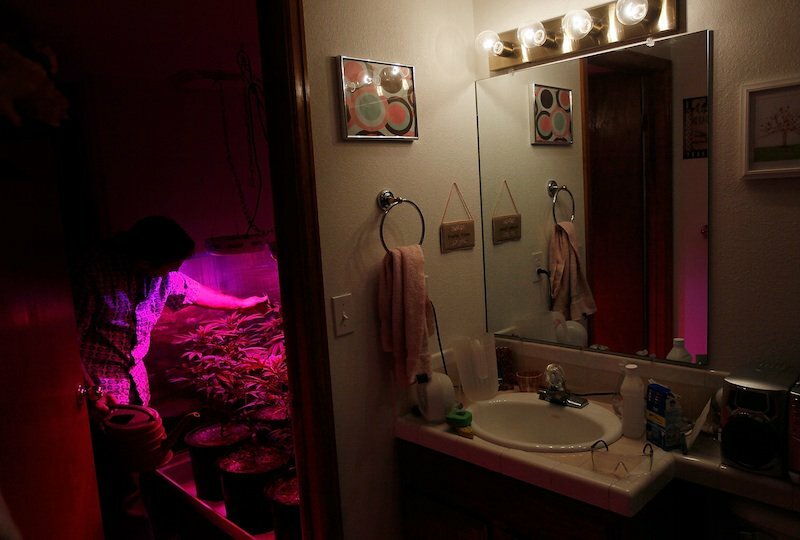 A grower tends to a small number of marijuana plants in the bathroom of his home April 19, 2010 in Fort Collins, Colorado. 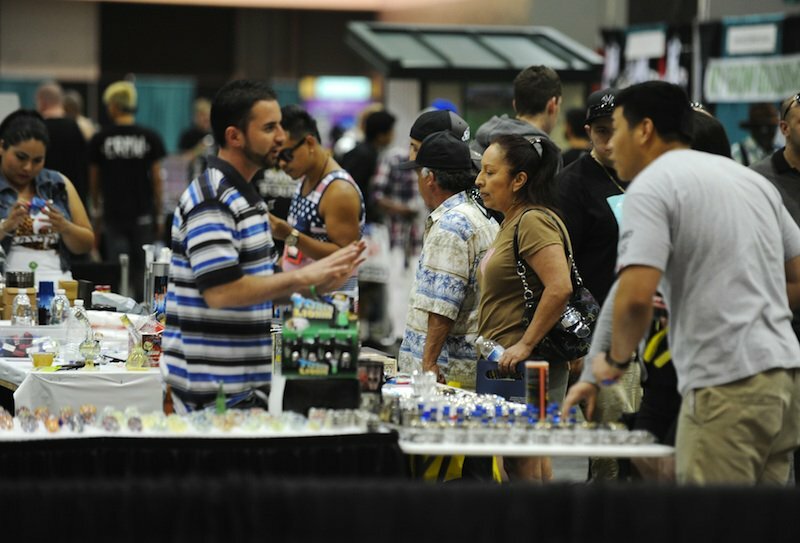 Thousands of marijuana enthusiasts gathered for the three-day HempCon medical marijuana show in Los Angeles in May, for exhibits of medical marijuana dispensaries, collectives, evaluation services, legal services and equipment and accessories. 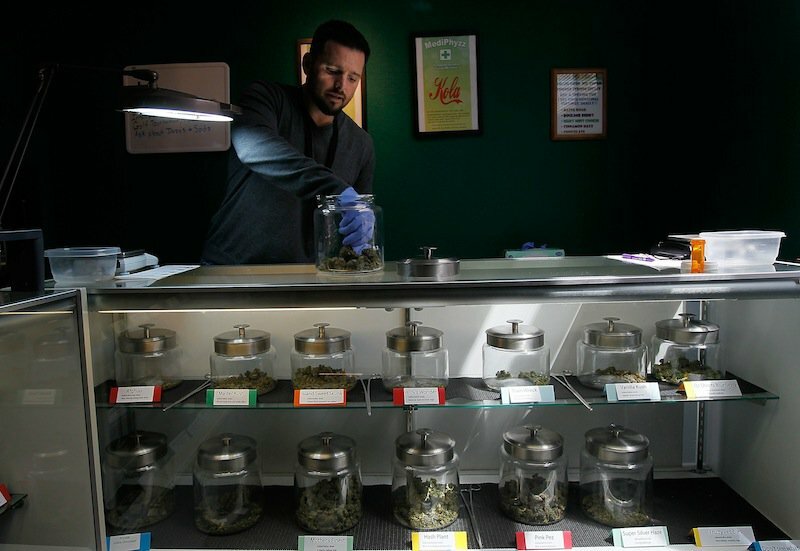 A medical marijuana dispensary in Los Angeles. 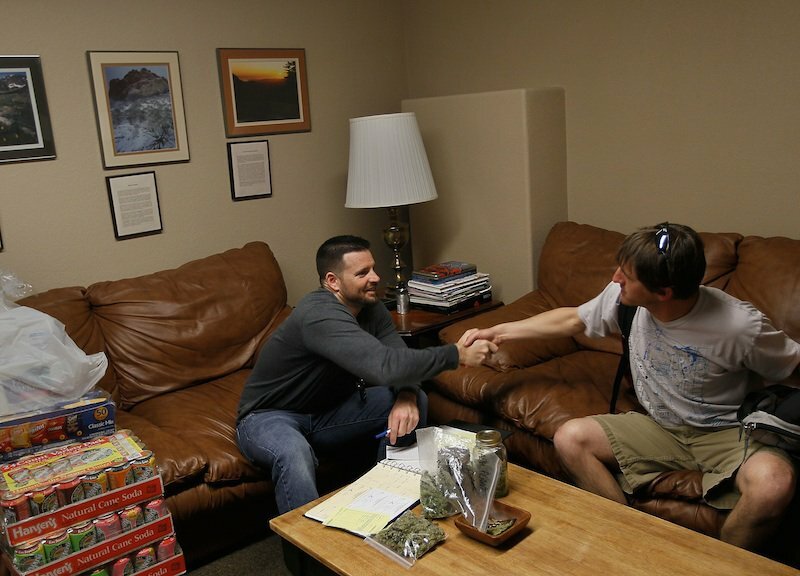 Drew Brown, a vice president at Abundant Healing store (L), shakes hands with one of his marijuana suppliers (R) April 19, 2010 in Fort Collins, Colorado. Brown's dispensary sells marijuana to customers with a state-issued medical marijuana card. iGrow employee Zeta Ceti sets up a drip irrigation display at the new iGrow Superstore January 28, 2010 in Oakland, California. 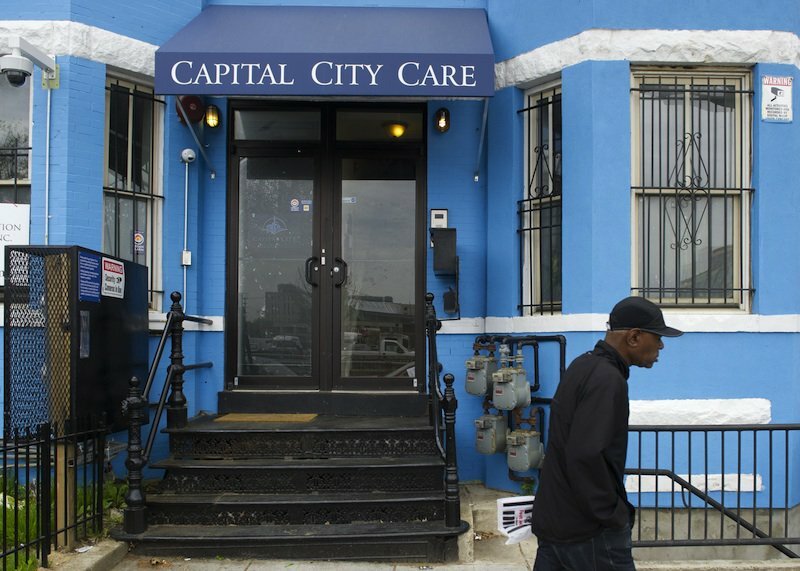 Capital City Care, a medical marijuana dispensary in Washington, D.C. Marijuana saleswoman Marissa Dodd (L) bags up a sale for a customer at Dr. Reefer's marijuana dispensary April 20, 2010 at the University of Colorado in Boulder, Colorado. Images via Getty and Wikimedia Commons.